This entry was posted on Tuesday, January 17th, 2017 at 8:58 pm	and is filed under Flies, Gear, Locations. You can follow any comments to this entry through the RSS 2.0 feed. You can leave a comment, or trackback from your own site. 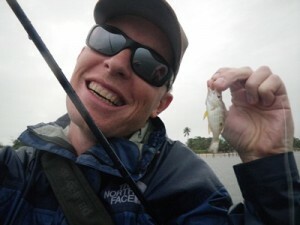 Bjorn, if you would like to discuss bonefish on spinning gear, please email me at steve.gundersen@gmail.com. I have a long experience chasing flats fish with conventional tackle and lots of advice. Bjorn, I took my girlfriend with me last year to Ambergris Cay. She used pink flats jigs in 1/4 and 3/8 ounce.Travel spinning rod with 15lb. braid and 12lb. flourocarbon leader.Our guide tipped jigs with pieces of shrimp.I also took some split shot and hooks for fishing with bait.My girlfriend caught plenty of fish for her 1st trip flats fishing including Bonefish and A Permit while fishing on her own. She did let me catch my share on the fly. Probably going back again this Summer.